Since attending the World Climate Simulation and Training event in July 2016 in Accra, Ghana, I was inspired to organize World Climate events within the networks of people that I work with. 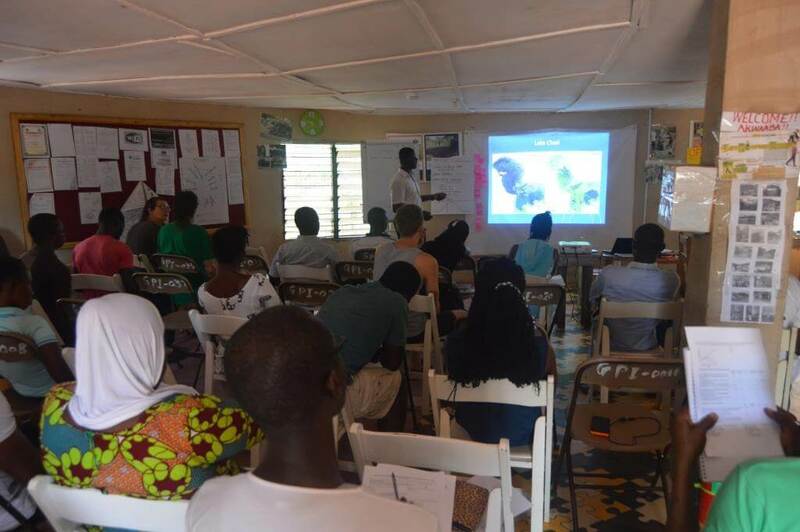 My third World Climate event was organized on Saturday, 26th November 2016 at the Ghana Permaculture Institute in Techiman, Ghana. 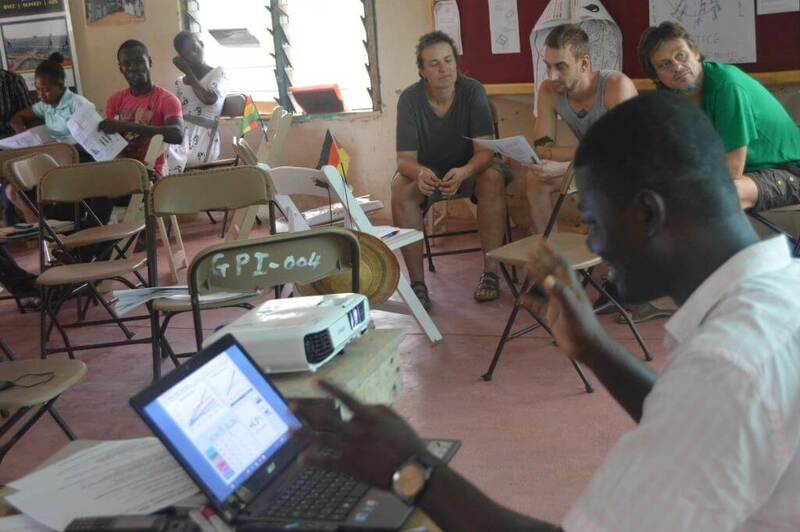 The simulation was incorporated into one of the workshops of the four-week global Ecovillage Design Education curriculum which took place at the Institute from 1st November to 28th November 2016. The 32 participants who took part in the simulation were from Ghana, Togo, Guinea, Nigeria, Cote D’Ivoire, Senegal, Gambia, Burkina Faso, Niger, and Germany and their ages ranged from 23 to 58 years. All the participants worked in non-governmental organisations that promote the achievement of sustainable development goals. The main aim of the Ecovillage Design Education curriculum was training for sustainability along four main dimensions—social, ecological, economic, and cultural/spiritual. Following a pre-evaluation of the participants, the coordinators of the program had noted the need for lessons on climate change, an issue cutting across most of the sustainability dimensions. I suggested a World Climate Simulation as I knew it would contribute to the achievement of this goal by offering an opportunity for experiential learning on sustainable systems. The event began with a 30-minute presentation on climate change covering issues such as CO2 emissions by source, impacts of climate change, overview of C-ROADS, the global climate fund with current contributions and pledges from developed countries and request from developing countries as well as grassroots initiatives to mitigate climate change. We had two rounds of negotiations which went very well. After the first round of negotiations, the delegates achieved an average global temperature of 2.70C. During the second round of negotiations, the US and China were approached by all other delegates to make more ambitious targets. They demanded that the US should increase their financial commitment from the $2B they had pledged in the first round of negotiations. As well, the delegates demanded that China set their emissions reduction start year as soon as possible compared with the year 2045 they had stated in the first round. After the second round of negotiations, the delegates achieved an average global temperature of 2.10C. After the simulation, questions and answers followed in the debrief session. The participants gave numerous examples from their communities that suggested that climate change is happening and they are experiencing it in their various communities. Slash and burn method of farming as well as bush burning to hunt bush animals and to harvest firewood for commercial purposes were some of the key issues that generated heated discussion. The argument was that even though these practices are not good for human health and the environment, however, those who engage in these practices do so for their daily survival and, therefore, they need alternative sources of income. The recommendation was that the slash and burn method of farming is not even good for the farmers themselves because it kills microorganisms that are in the soil. Therefore, when it rains the rain water is not able to enter the soil but rather it washes away the top soil causing erosion and flood. Also, for example in Techiman (Brong Ahafo Region), the traditional authorities and the district assembly have set up a task force (community police) that arrest and fine people who engages in bush burning for either bush meat or charcoal. Overall, I felt that the participants were inspired to learn more about climate change and see the links to permaculture. In addition, this event caught the attention of the leadership of the Institute and they all joined to participate in the simulation. The presentation and the C-ROADS software were added to the toolkit of the ecovillage design education course as a result of a strong request from participants. If you would like to learn how to incorporate World Climate or any of our other interactive tools in your workshops, conferences, classroom teaching, or any form of dialogue, feel free to get in touch in us.